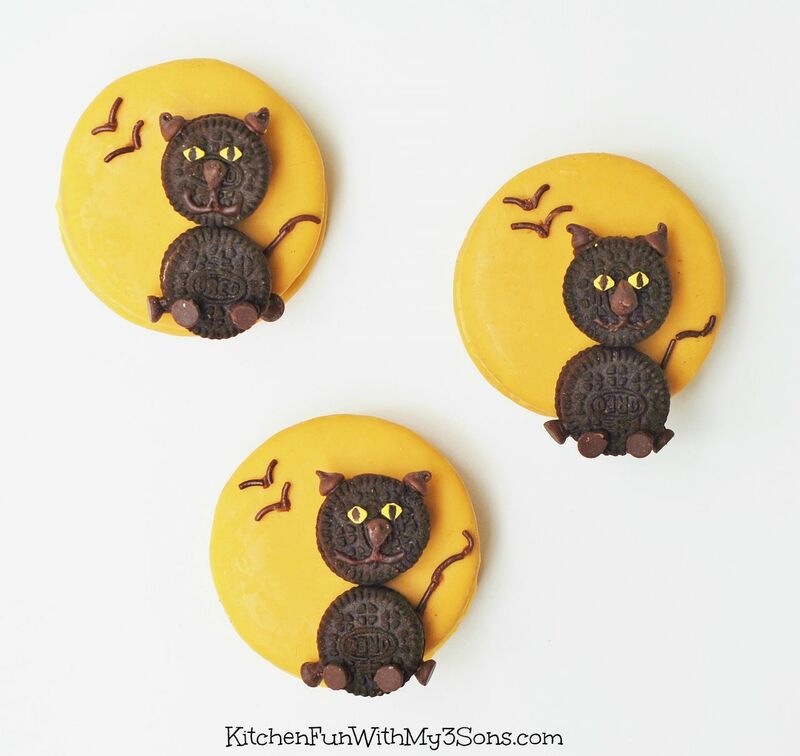 We are starting to create fun Halloween ideas and today we are sharing our Black Cat Moon Pie Treats! 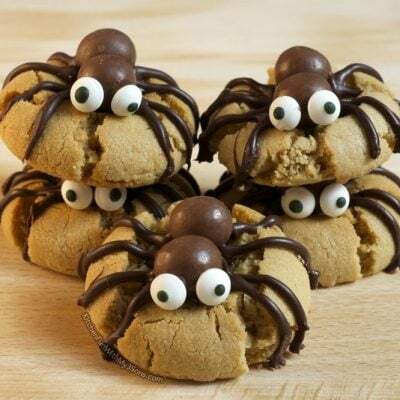 These take just minutes to make using pre-made cookies and we think they turned out so cute. Start out by making the face on your mini Oreo. 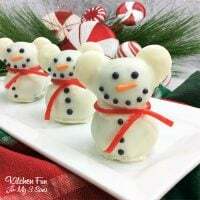 Attach on 2 mini chocolate chips using your icing. Cut another mini chocolate chip into a triangle shape using kitchen scissors. 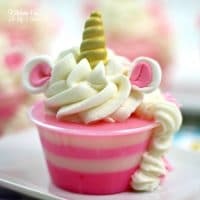 Made a mouth and attach the nose with your icing. 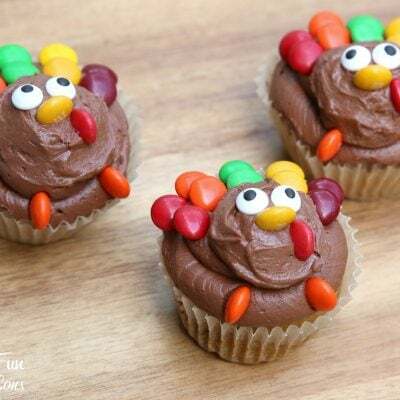 Snip off the edges of your yellow sprinkles using your scissors. Add the pupil using your edible marker. 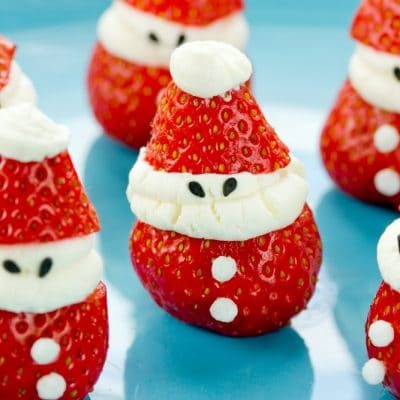 Attach them on for eyes using your icing. Squeeze a little bit of icing on the back of your prepared Oreo and another mini Oreo and place them on top of the mini Moon Pie. Add 4 more mini chocolate chips for the feet securing with icing. 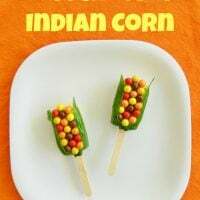 We had so much fun making these and they would also be fun for class parties at school. 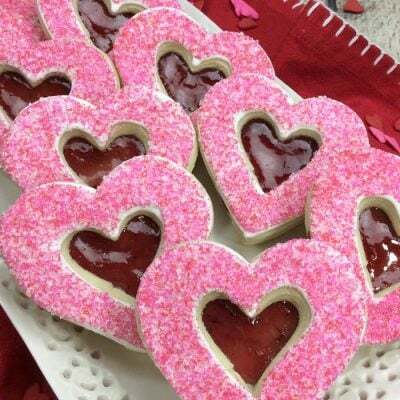 You can make a ton of them very quickly! 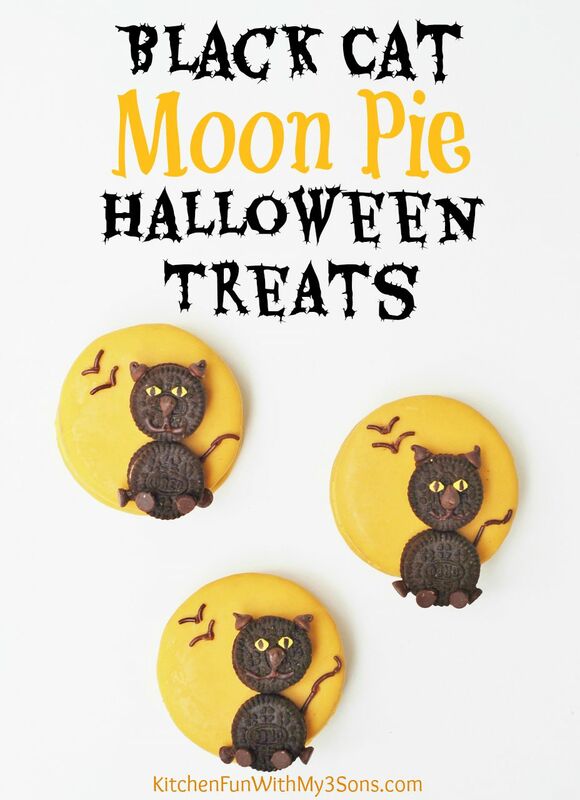 If you like our Halloween Black Cat Moon Pie Treats…make sure to check out our other fun Halloween ideas HERE! 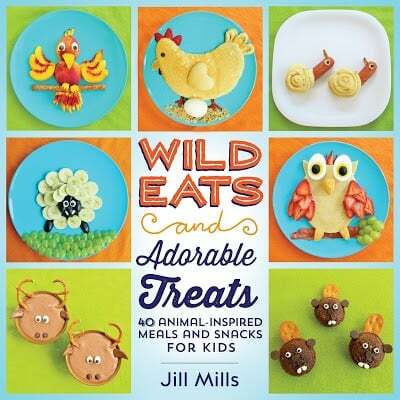 « Previous Post3rd Sneak Peek into the “Wild Eats & Adorable Treats” book! 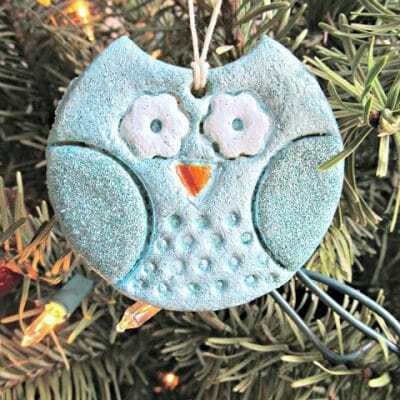 What a fun project to make using moon pies! 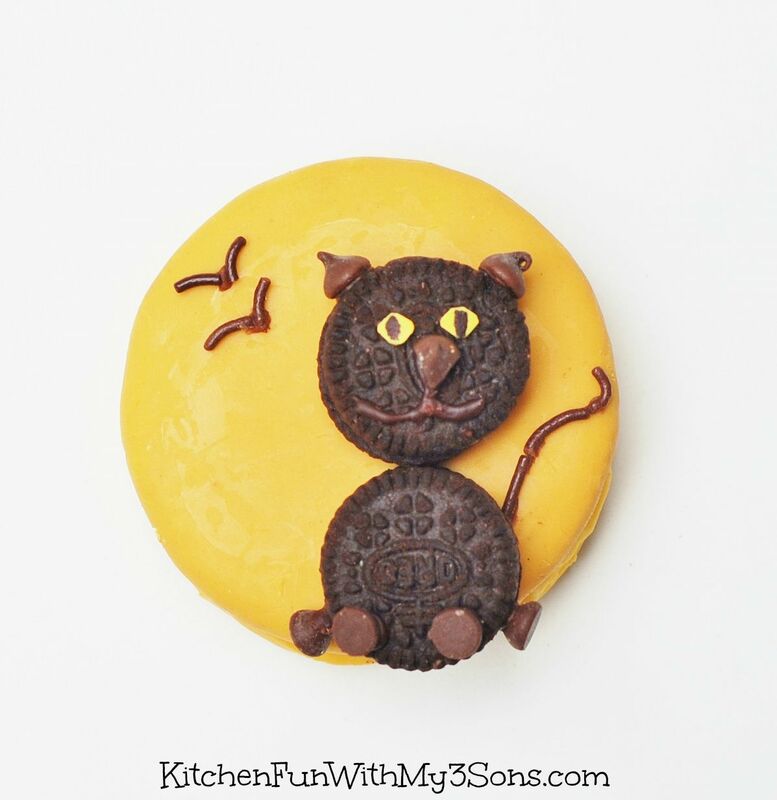 They are the purr-fect backdrop to your Oreo Cats.